Soothing Day Cream SPF 10 with a light, silky texture is designed for hypersensitive skin with dilated and breaking capillaries and prone to redness. 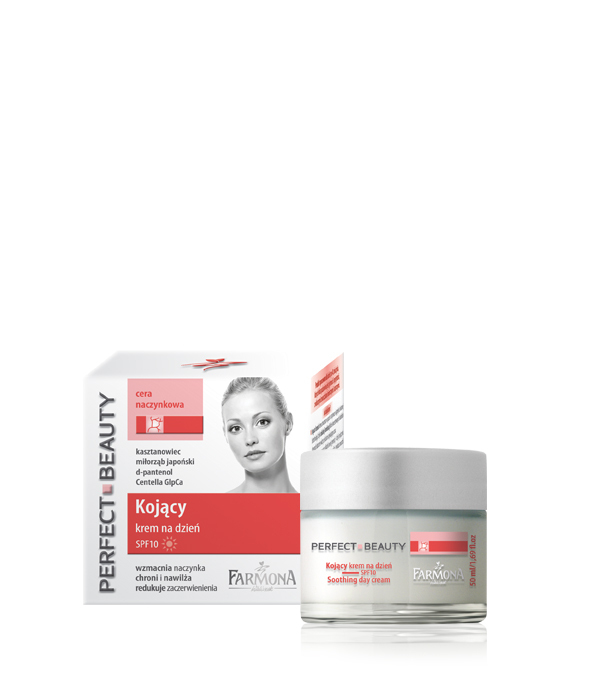 Specially designed formula, with a maximum dose of active ingredients, prevents the fixation of vascular lesions, removes redness and calms hypersensitive skin. Active extracts of chestnut and ginkgo biloba improve blood circulation and have anti-inflammatory, astringent and sealing effect, thereby reducing vascular fragility and the tendency to develop redness and spider veins. D-panthenol perfectly moisturizes and smoothes the skin and soothes irritations. UV filters effectively protect against the harmful effects of external factors, preventing photoaging of the skin. 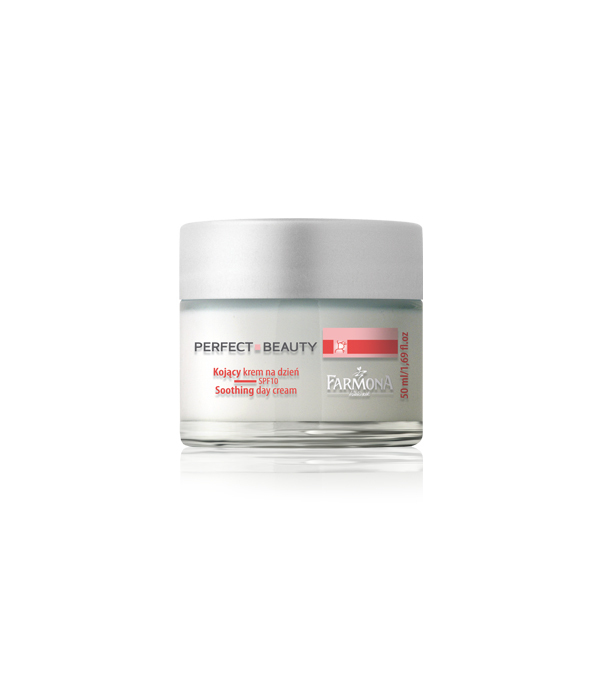 – makes the existing capillaries visibly narrowed and the skin regains its natural, pretty colour and radiant glow. Every morning, gently massage the cream into the skin of the face, neck and décolleté. Excellent as make-up base. Chestnut, Japanese ginkgo, Centella GlpCa biocomplex.